This four hour course includes the Workbook (exam) for the AARST/NRPP Advanced Multi-Family Measurement Listing. 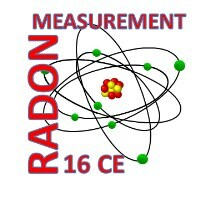 A prerequisite to this course is either C-12-103 - Advanced Radon Measurements in Multi-Family Buildings OR C-16-106 - Conducting Radon Surveys in Schools and Large Buildings. After completion of either of those courses and this Workbook Course you are eligible to apply for the Advanced Multi-Family Measurement Listing with NRPP. Both of these new courses are NRPP Category 1 courses approved for both Measurement and Mitigation Professionals. They are both a review course of our NEW entry level course (2016) - one - C-16-107 - Review of Entry Level Measurement - 16 CE - is approved for 16 CE credits, and the other - C-24-103 - Review of Entry Level Measurement - 24 CE is approved for 24 CE credits. Both courses are a great option to review and refresh radon measurement protocols, QA/QC and devices, as well as business operations. Entry Level course which includes training required for becoming certified in radon measurement. This popular online course was recently updated (Jan 2016) to include video of a classroom session. It still includes many extras including business resources and online quiz questions designed to help you prepare for the national certification exam. Students also have access to the audio version of the course.